§ 1 The name of the organization is The Scandinavian Tire and Rim Organization — STRO. e) distribute technical information relating to tires and rims etc. to users and the mass media. tires or rims in Europe and have as their main occupation to carry on business with tires or rims in the Nordic area. and one deputy member of the Board. licenses for special tire retreading technology. b) have as a main occupation, retreading of tires. c) have as main occupation sales of tire or wheel accessories. d) have as the main occupation to work with issues related to tires or rims. a) during a long period of time have considerably contributed to the organization. b) otherwise have honored the organization. §7 Permanent members have the right to participate at the Board meetings. Each permanent member has one vote and shall receive minutes from STRO board meetings and other relevant information. receiving a special invitation, a correspondent member may participate at the Board’s ordinary meetings. Any issues which members want to be discussed at these meetings shall be given notice of at the latest three weeks before the meeting. § 9 Honorary members are given a diploma and will be present in the STRO data book. §10 Anyone who wants to become a member shall submit a written application to the Board, which will then decide on the acceptance of the application. The General Secretary shall perform his/her work in accordance with the directive issued by the Board and shall represent the Organization externally and towards all Nordic authorities (concerning technical and regulatory issues). § 13 The Board consists of representatives of the permanent members as, nominated by the respective member company. The member shall ensure that the representative has the necessary technical expertise to fulfil his obligations as board member successfully. The members of the Board shall appoint a chairman, a vice-chairman and a treasurer among the Board members. These officers are then elected at the Annual General Meeting (AGM) for a period of two (2) years, and should not hold their position for more than two (2) consecutive periods. An exception for one period to this rule of rotation can be granted with a simple majority amongst the attending members in the AGM. 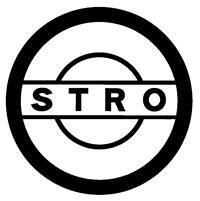 All decisions concerning the STRO shall be confirmed and ratified by the Board. — represent the Organization in ETRTO and other international organizations. §15 The Board shall meet at least 3 times per year, and the final ordinary meeting each year is also the Annual General Meeting of the Organization. After submitting a request to the chairman of the board, an extra Board meeting can be held. §16 The dates of the subsequent year’s ordinary meetings are to be set at the final meeting of the year. A separate invitation to each meeting with a copy of the respective agenda shall be distributed by the General Secretary at the latest 3 weeks prior to the date of the meeting. Board Members may propose and unanimously agree changes to the agenda during the five workdays following the day the agenda was distributed. The agenda with any such change(s) must be distributed to all other participants immediately without delay by the General Secretary or one of the Board Members. Other items than those stated in the agenda may only be discussed in an ordinary meeting in exceptional circumstances. §17 The STRO emphasizes that compliance with all applicable laws, regulations and international rules of the members is a core value. All decisions between members in and outside of STRO Annual General Meetings or Board meetings are therefore limited to the legitimate purposes of the objective of the Organization. Members will therefore refrain from behavior that would constitute or could be seen or perceived to constitute a breach of applicable laws, regulations and international rules of the members. This includes especially any discussion, in whatever form, that could constitute a breach of anti-trust regulation as e.g. discussion of prices, conditions of sale/purchase, sales/purchase volumes, production capacity, costs, and jointly arranged behavior on the market. is as determined in the price list approved by the Board. However, each member of the Organization shall receive one copy of the Data Book free of charge when a new edition is published. The periodicity for revision of the Data Book is decided upon by the Board. complete their review and present their report to the Board by April 1 the latest. the new charges will be valid. forward at each Board meeting, but they must be put into writing at least two weeks before the date of the Board meeting. To agree upon a decision relating to a change in the Organization’s regulations, it is necessary for 2/3 of the permanent members to support the proposal on two meetings held one after the other. held one after the other, and in the order prescribed for making changes to the Organization’s Rules. If a decision to dissolve the Organization is finally taken, the board shall act as liquidator and after all debt, costs and expenses has been finally settled the remaining assets shall be distributed among the members in proportion to the fees paid by each member during the ten (10) previous financial years.